A Louth man has been sent to prison for 12 weeks after damaging the window of a local business and damaging a police cell last week, which breached a suspended sentence order put in place just two months ago. 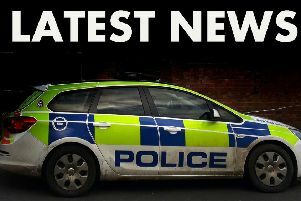 Shane Murphy, 24, appeared at Lincoln Magistrates’ Court on May 23 where he pleaded guilty to damaging a window, worth £200, belonging to The Cheese Shop on May 21. He also pleaded guilty to damaging a police cell in Skegness the following day. Murphy committed these crimes during the operational period of a suspended sentence, which had been imposed at West Hampshire Magistrates’ Court on March 25 after he was found guilty to assaulting a woman in Southampton and sending malicious communications. In addition to committing the two new offences, Murphy had breached the terms of the suspended sentence by missing supervision meetings and failing to maintain contact with his Offender Manager. Murphy was sentenced to 12 weeks in prison, ordered to pay £200 compensation to The Cheese Shop, and had to pay a £150 criminal courts charge.